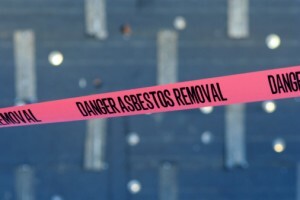 Asbestos testing and asbestos inspections can be used for a number of different purposes. For example, you may need to conduct an inspection as part of a Phase II Environmental Site Assessment before purchasing a new property. Or, you might want to get that suspicious old flooring or ceiling tile tested for asbestos before beginning a home renovation project that might disturb the material and potentially contaminate the air in your home. H2 Environmental can help you with any of these scenarios, as well as with the removal or containment process should asbestos be found on your property. Asbestos is a dangerous carcinogen that is officially classified as a hazardous material. Because asbestos fibers are so tiny, the only way to tell if they are present is with air testing. This means that even if you attempt a cleanup yourself, you will have no way of knowing that the area is safe without professional testing. You’re much better off getting professional asbestos services Santa Ana CA. No matter what stage of the process you find yourself at, we can do the work safely.